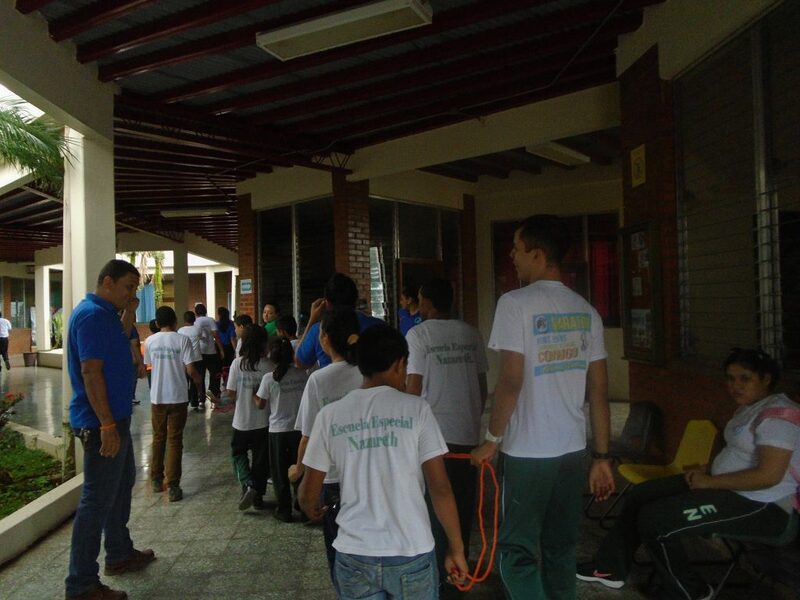 Success Story in Progress: Are there fire drills in Honduras? Estefany is nine years old. She is a student at Escuelita Nazareth who is blind. There are eight other children in her classroom, some with visual impairments and some who have perfect vision, but other learning difficulties. If there is an emergency at Nazareth, will Estefany know what to do? Will her classmates? Will her teacher? 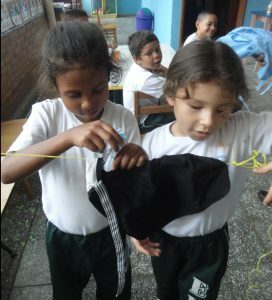 Estefany (left) and Isis (right) are best friends and classmates at Escuelita Nazareth. In the news, we are often reminded that unexpected emergencies occur in schools more frequently than we want to imagine. We know emergency situations develop from various circumstances, a fire is just one example. Teachers and students who are prepared to respond before an emergency happens, can save lives. The same, of course, is true in Honduras, even if the safety code for schools is not always enforced by law. So, in the spring of 2017, when Olancho Aid set out to develop a three-year strategic plan for education in the four schools, a question was posed immediately. What good is an educational plan if our students are not safe? An emergency plan had to come first, and fast. 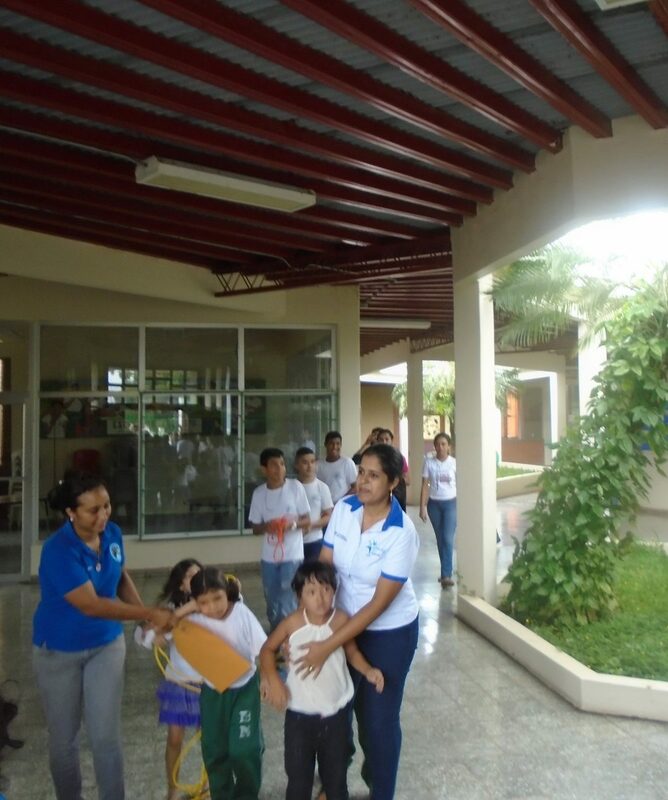 The education committee of the Olancho Aid Foundation Board of Directors has since been working closely with principals to create a multi-hazard plan covering threats from fire, flood, building damage, hazardous materials release, criminal acts, and more. Alert, action, and recovery are phases addressed for each and every one of the potential threats. 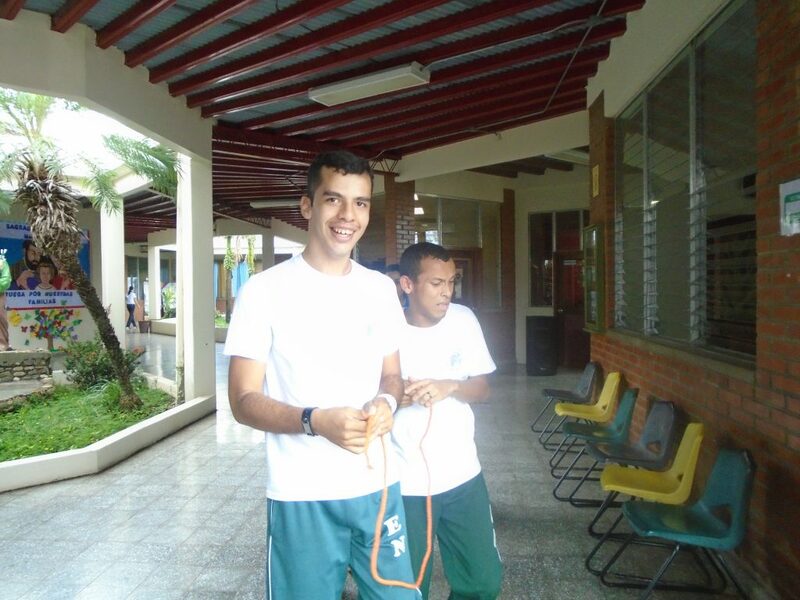 In August, Estefany participated in her first evacuation drill. She and her classmates responded to the alarm by forming a line at the door of their classroom. They all grabbed a rope together so students who were unsure of what to do or where to go could follow their classmates and their teacher. Special care is taken at Escuelita Nazareth, so Estefany and her classmates each have the tools and training they need in case an emergency strikes. Both visual and or audible alarms are needed so all students can recognize an emergency. Students who have trouble with loud sounds or changes in routine must be given extra attention to help them handle a drill that may be distressing. Students hold onto a rope so they can stay together and follow their leader to an exit during the emergency evacuation drill. Since Olancho Aid’s main office is located within Nazareth, Principal Gloria met with the office team to educate them about evacuation and how they can assist children at Nazareth in an urgent situation. Each staff member is assigned a classroom, when the alarm is activated, everyone knows where to go and which students may need a helping hand. Office staff members assist by leading students during the evacuation drill. Administrators are developing protocol and a systems of checks and balances. This will consistency at all four schools including a sign in system, emergency packs kept on site, drills carried out consistently, and accessible documentation (including daily classroom rosters and emergency procedures). This success story in progress brings us one step closer to ensuring that Olancho Aid Foundation students receive the best quality of education in a safe environment.